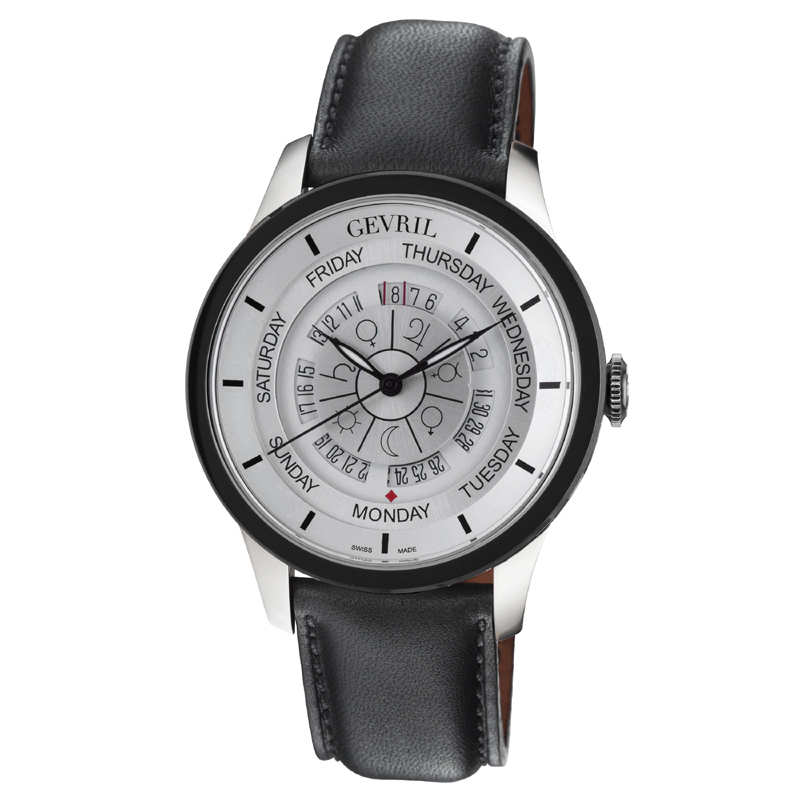 Essential watch collections in the Gevril brand lineup are named after famous New York City locales. These include Times Square and the Avenue of the Americas, the brand’s signature collection. The newest Manhattan landmark to be venerated by a Gevril watch collection is Columbus Circle. The look of the Columbus Circle watch is inspired by the famous Columbus Circle roundabout intersection located at the southwest corner of Central Park outside of the Merchant’s Gate. At the intersection’s center is a commemorative monument, erected in 1892, honoring the 400th anniversary of Christopher Columbus’s arrival in the Americas. The watch’s dial design, with its series of concentric rings and wheels, is indeed reminiscent of the W 59th Street intersection. 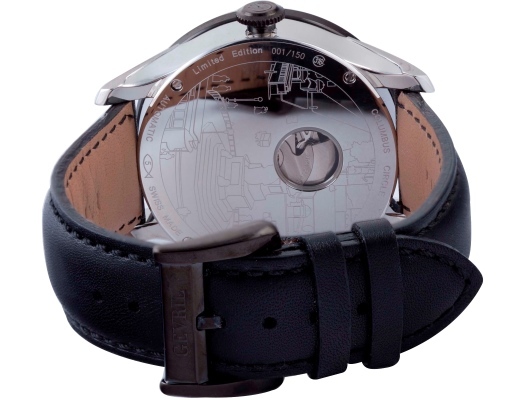 At the center is a stationary, silver-colored circular plate featuring the astrological symbols for the days of the week that, much like Columbus Circle (the point from which all official distances from New York City are measured) is the watch’s epicenter. Each astrological symbol matches up with its day of the week on the corresponding ring. 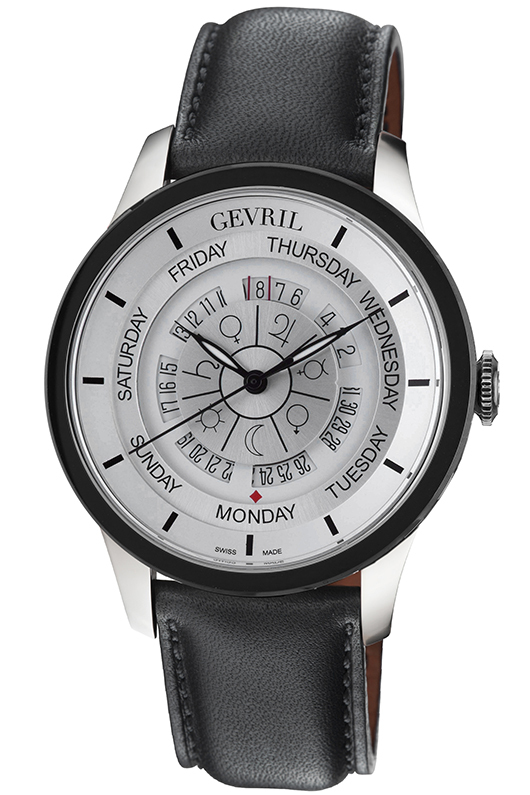 Dial arrangement is strongly based on the configuration of the watch’s ETA 2834/2 movement with a couple of key modifications: first, the open date wheel is modified so the orientation of the numbers is in a vertical position at 12 o’clock (two red lines flank the current date), and second; the days of the week typically printed on the day wheel are replaced by a red diamond that moves one increment daily to indicate the current day; the day names are instead printed on an adjacent stationary ring. The 316L stainless steel case is 45 mm in diameter with a black PVD-coated bezel, which pairs well with the black calfskin strap. 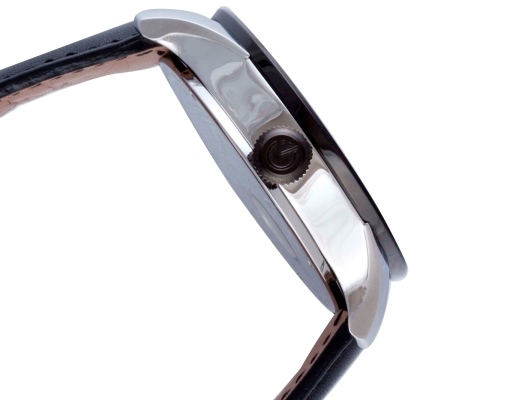 The crown, personalized with the Gevril logo, is also coated with PVD as is the strap buckle. 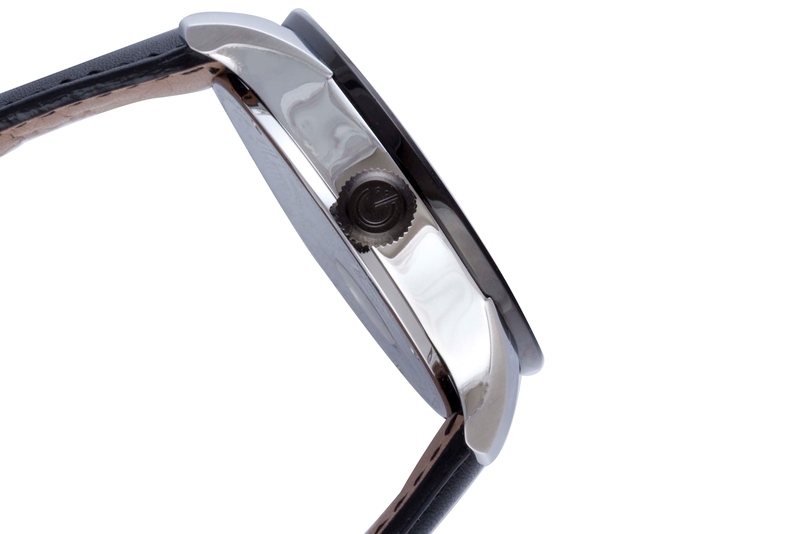 The watch is water resistant to 165 feet and the sapphire crystal is anti-reflective. A commemorative caseback features an engraved scene of streetcars rolling through Columbus Circle as it appeared at the turn of the century. A small porthole offers a peak at the movement. 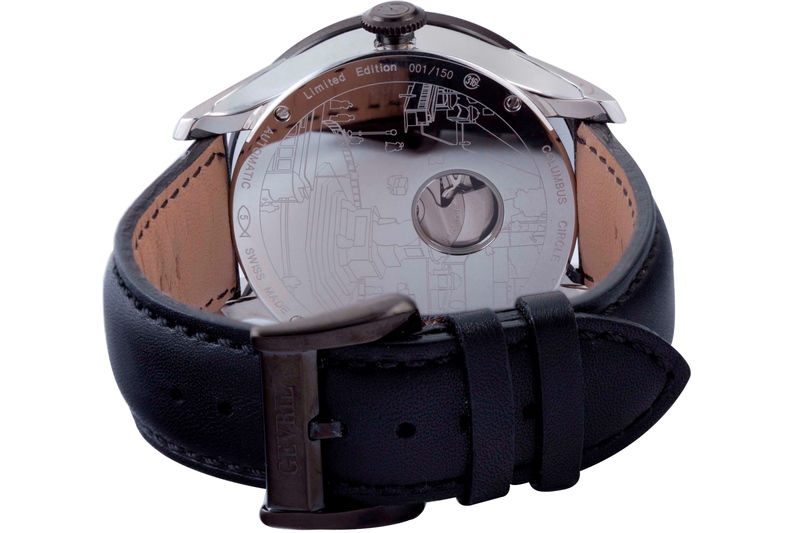 The caseback is affixed by four screws and has additional engravings including the individual watch number – Model 2002, pictured, is a limited edition of 150 pieces. 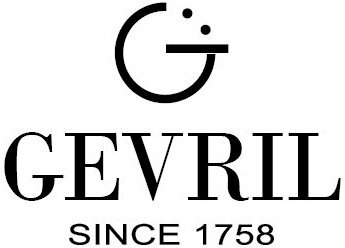 Gevril creates original timepieces for people who appreciate wearing watches that are out of the ordinary. The Columbus Circle watch is an excellent example: its original dial design, day-date complication and modern case design is an imaginative combination. Consider adding one to your collection today.